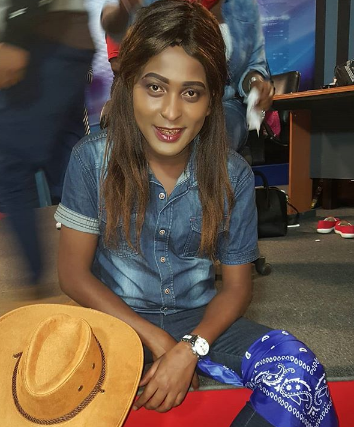 After three years on KTN, comedian Kevatin Muthaka alias Shaniqwa has parted ways with KTN. Taking to social media, the comedian, who is known for his gender-fluid jokes, shared that he has resigned from the station but will inform fans later on where’s headed. “Yes i did my last show yesterday on #ktnlifeandstyle thank you @ktn_kenya for always belieiving in me, for my fans i will keep you posted where am landing next GOD BLESS YOU ALL. ” he posted. His move was first announced by Mary Mwikali with whom he hosted a breakfast show dubbed Lifestyle on every Friday morning. Mwikali thanked Shaniqwa for the support through out his KTN stay in an instagram post when bidding goodbye. “This Human… Oh this Human. You’ve been my greatest cheerleader and critic on set…. Your humour and creativity oh so Vibrant and contagious… A support system that every colleague needs at the work place. You are treasured. 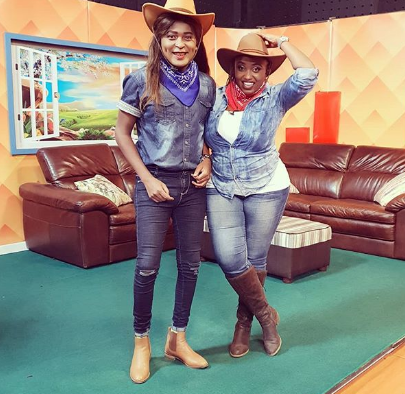 It’s been an amazing 2years on #ktnlifeandstyle #FeelGoodFriday… All the best as you move on to other ventures.. I’ll definitely Miss you @shaniqwa_socialite.” she posted.